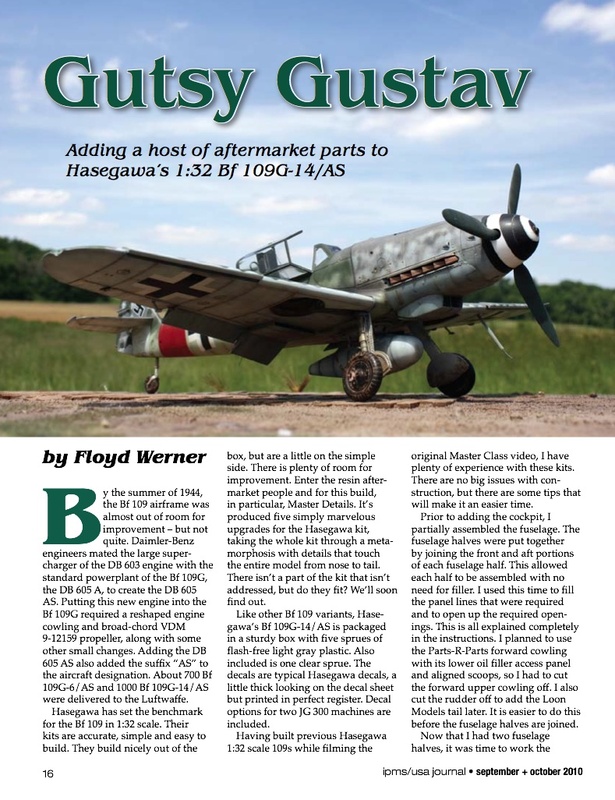 By the summer of 1944, the Bf 109 airframe was almost out of room for improvement – but not quite. Daimler-Benz engineers mated the large super- charger of the DB 603 engine with the standard powerplant of the Bf 109G, the DB 605 A, to create the DB 605 AS. Putting this new engine into the Bf 109G required a reshaped engine cowling and broad-chord VDM 9-12159 propeller, along with some other small changes. Adding the DB 605 AS also added the suffix “AS” to the aircraft designation. About 700 Bf 109G-6/AS and 1000 Bf 109G-14/AS were delivered to the Luftwaffe.